The Southbound Attic Band consists of Barry Jones, guitarist, singer-songwriter, and Ronnie Clark, bass and backing vocals. Their high energy live set is a combination of Americana, English and Celtic tinged folk rock. Seekers Of Solace CD PR i.e. What we say! 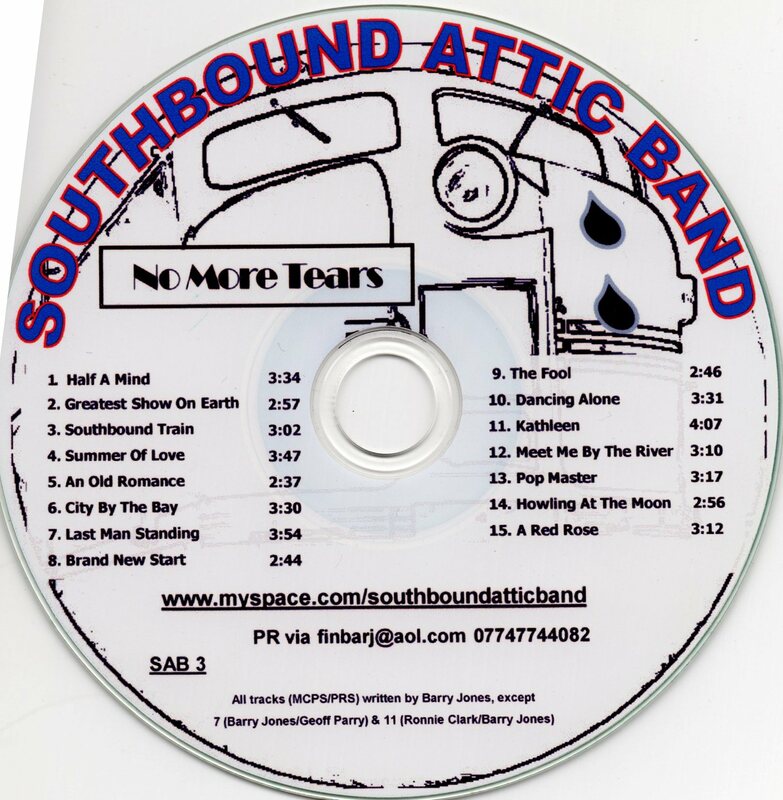 “Seekers Of Solace” is a line from Song for Stan, Track 5 on the CD, the eighth release and fifth full length album from Southbound Attic Band (Barry Jones & Ronnie Clark). The song, and in some ways the album, is a tribute to Stanley Ambrose (1930-2016) Stan the Harper, producer/presenter of Folkscene on BBC Radio Merseyside for 49 years, for many years alternating with Geoff Speed, another legend of folk music on radio. Stan was a great friend to the band, featuring their previous four albums in their own hour long programmes with the Willows Suite (SAB2) featuring twice some five years apart. He was a gentle, thoughtful man whose signature style was to interview his guests and then edit out all but the bare minimum of his own contributions to give as much airtime to the interviewees, mainly local folk and acoustic musicians. An accomplished musician on whistles amongst other things, he took up the Celtic harp late in life and would play in coffee bars and restaurants to soothe all who heard him, a legendary figure, much loved by Liverpool’s acoustic music community. Track 1, Old Fools, acknowledges the fact that you’re never too old to be duped; a regular live opener, it’s an upbeat toe tapping romp of a song. The Legend Lives On is a song written from the perspective of Bob Dylan who visited the National Trust owned childhood home of his friend John Lennon in 2009, travelling on the minibus, apparently unrecognised by his fellow visitors. These are the words that he might have wanted to say; maybe Bob will get to hear it and comment? Or maybe not! Give Me A Sign is a nod to skiffle and street music, a bit like Willy And The Poorboys, at least that’s what Barry says was in his head at the time of writing! The Fair was written for the Liverpool Acoustic Songwriting Competition 2015 and was based on the painting of a fair hanging in The View Two Gallery, Mathew St Liverpool. This time the perspective is of an elderly gentleman in a retirement home who is watching some old footage of his home area just before World War II who recognises some of the people in the film. Song For Stan mentions the phenomenon of Liverpool’s Bold St. which has a reputation for paranormal activity. Remember tackles the tricky subject of people suffering from illness who may need friends and family to acknowledge their condition rather than ignore it, sadly a common occurrence apparently; inspired by a Macmillan video! Molly’s Song is a fictitious tale of a singer of songs of melancholy and regret. Africa Oye uses Liverpool’s fabulous annual free festival as a setting for a song of emancipation. Christmas Has Come Around is a song which had limited release at Christmas 2015, included in a Christmas card to Southbound Attic Band’s friends and supporters, now given a wider release, in good time for Christmas 2017. Kenny’s Dream is a fond memory of Barry’s father and a long remembered Jones family episode. Rime Of The Open Micer recalls a true story with some not suitable for work, or radio, language! Listen at your peril! Promised Land is road song inspired by a beautiful 1959 Cadillac Coupe De Ville at a Car Show at Speke Hall. It seemed too big a car to set the song in the UK, so it’s not! Album closer The Man On The Train is a short poem set to acoustic guitar music; it just seemed like the right thing to do. We hope you agree! The CD was recorded and engineered by Ian Lewis at Whitby Rd Studios, Ellesmere Port. All tracks MCPS/PRS/PPL, written and composed by Barry Jones. All instruments Southbound Attic Band except Tubular Bells, Track 9, Ian Lewis. “I thought that was absolutely lovely!” Genevieve Tudor re The Fair from Seekers Of Solace CD played on Sunday Folk on BBC Radio Shropshire 30 July 2017. Southbound Attic Band, Seekers Of Solace. Album Review. Life would be intolerable without the huge abundance of many fantastic bands and artists that live and breathe their daily toil of observation and celebration of life in all its shapes and often mishaps; life would certainly be more boring, less examined, surely unendurable without the Seekers Of Solace and the wonderful tale told, Southbound Attic Band’s Barry Jones and Ronnie Clark. To come across this marvellous duo anywhere on the road is like finding your dreams answered with a willing smile, a sentinel with a salute and the guide to life’s more discerning characters thrown in; hearing them as bold as brass and more beautiful than the appearance of a rainbow at dawn as they sing down your ears from a C.D, that is another matter entirely. For the Seekers Of Solace, to hear them with the sense of gravitas, of humour, of the study of upbeat and the positive is to feel as if you had wandered into another time, a period in which the flowering poetry scene inhabited by Adrian Henri, Brian Patten and Roger McGough was the revolution that hung gracefully in the air, a time in which the lyrics of Barry Jones certainly fit and complement. The album can be seen as a fitting tribute, not only to Liverpool, but to the late Stanley Ambrose whose name might not mean much to those outside of the confines of the Liverpool ear but to whom should nevertheless be respected as being one of the truly decent men to whom the Liverpool music was everything, who gave his time without argument and with the passion that artists and musicians fully deserve. It is in the sad loss of the man, highlighted in the powerful track Song For Stan, that many should hope that their town, their city, could have such a person dedicating their lives to the art. Seekers Of Solace doesn’t deviate from a winning formula, in that alone the smiles of appreciation are even greater, Ronnie Clark’s backing is buoyant and craftily cool, whilst Barry Jones playfully sings down your ears and leaves nothing but a happy trail of fortune whispering in your mind. In songs such as Old Fools, the remarkable tale of forgotten memories in The Fair, Molly’s Song, the fantastic and heart warming Rime of The Open Micer and the short cautionary tale of realisation in The Man on The Train, the Southbound Attic Band have once more given the city and beyond the greatest gift of all, the ability to smile and laugh whilst playing incredibly gorgeous music; a combination so rare that it makes you love them even more. Up and down the country there are any number of unsung musical outfits. Most never play further than twenty miles from home and they’ll never win an award or be featured in a broadsheet (or even a music magazine). But they do it for love (heaven knows there’s no money) and a lot of them produce some fine music along the way. Liverpool’s acoustic outfit the Southbound Attic Band, aka Barry Jones and Ronnie Clark, are a fine example of these unsung heroes and their fifth album has a baker’s dozen songs that you’d be more than happy to run across (and then run across again). With their new album ‘Seekers of Solace. Barry and Ronnie have delivered a fabulous circle of songs. Barry, the main songwriter, is an excellent observer, a commentator and a storyteller whose tunes are full of humanity and wit. His guitar and harmonica and Ronnie’s bass sound great together. There are 13 songs on the CD. You get ‘Old Fool’s which has been a favourite at gigs for a while, ‘The Legend Lives On’ is a tribute to John Lennon written through Bob Dylan’s eyes, and ‘Song For Stan’ which is dedicated to the legendary Stan Ambrose. Other gems include ‘Remember,’ ‘Africa Oye’ and ‘Rime Of The Open Micer’. You even get a great Christmas song (‘Christmas Has Come Around’). 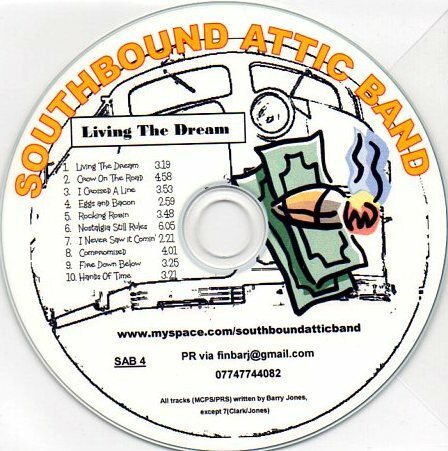 The Southbound Attic Band, Our Day In The Sun. Album Review. There are those that seemingly take great pleasure in deriding the power of Folk music. They are willing to sneer and complain that the story, often or not a tale of great morality with twists that raise a smile, is irreverent to the way of the world now. It is not a complaint that passes the lips of those that have Celtic blood raging through their hearts or those with an understanding that Folk, whether Celtic, European or English, touches upon the very nature of communication, simple, effective and memorable. For underground Liverpool favourites The Southbound Attic Band, communication, the great tales of morality and memorability are wrapped up, presented with the occasion befitting ceremony and relished completely in their new album Our Day In The Sun. For Barry Jones and Ronnie Clark, Our Day in the Sun brings all the pleasure of sitting somewhere between the great Mike Harding and Alun Parry. The smile being preserved whilst also musing in the way of modern society and the place of the individual within it; the humour and wit that is seen in everyday observations coupled alongside those that hide behind the façade of domesticity and the warring tones behind the closed door. For Barry Jones and Ronnie Clark the album must surely represent a feeling of stature and it is fully deserved, it is a set of songs that capture the imagination, that represent all that is good in the world, all that shamefully remains unseen and un-talked of. Tracks such as My Irish Home in which the relationship between Liverpool and Ireland is explored by means of a young woman,The Lone Crow which is the perfect allegory for the stance in one person’s actions when up against the chattering mob, Adios Amigo, the beautifully written look at domestic violence but with a great twist, the sensational Hide The Sausage and the live fan favourite The Ballad of George and Maude all highlight the reason why Folk remains the leading exponent of such finely conceived songs. Our Day In The Sun is one in which the music is elevated by the language on offer, it is an album of album of unashamed local glory that will deserve a wider audience. Liverpool’s Southbound Attic Band, aka singer-songwriter Barry Jones and compadre Ronnie Clark, continue to deliver the goods on their fourth album. Theirs is music rooted in their home city and also in the experience of its working class. So while there may be sorrow there’s also laughter, sometimes in the same song, and occasionally some distinctly low humour, as in “Hide the Sausage”, which is about an actual sausage rather than a euphemism but is most definitely NSFW. Elsewhere “My Irish Home” speaks to the diaspora that landed in Liverpool and in some cases, stayed, there’s poignancy in “The Ballad of George And Maude” and the contemporary dream/ghost tale that is “San Vito 1970” tugs at the heartstrings. In one sense the music is simply “local man sings local songs” (not that there’s anything wrong with that) but in another, far more important one, the music speaks to everyman on every street, with Jones’ gruff unadorned voice telling it, as they say, like it is and revealing the truths behind the facades. And there can never be too much of that. “Charming, integrity of both writing and arrangements”. Their second CD No More Tears (SAB3 2011) incorporated what have become their trademark songs, Howling at the Moon and Southbound Train as well as a tribute to their home city of Liverpool, City By The Bay, which featured as a youtube video http://youtu.be/eTMVeZXEwYA on a popular Liverpool Tourism Website. It wasn’t submitted for review anywhere, for now forgettable reasons, although again featured on an hour-long Radio Merseyside Folkscene programme. Southbound Attic Band, Gig Review. St. Luke’s Church, Liverpool Calling. Liverpool. 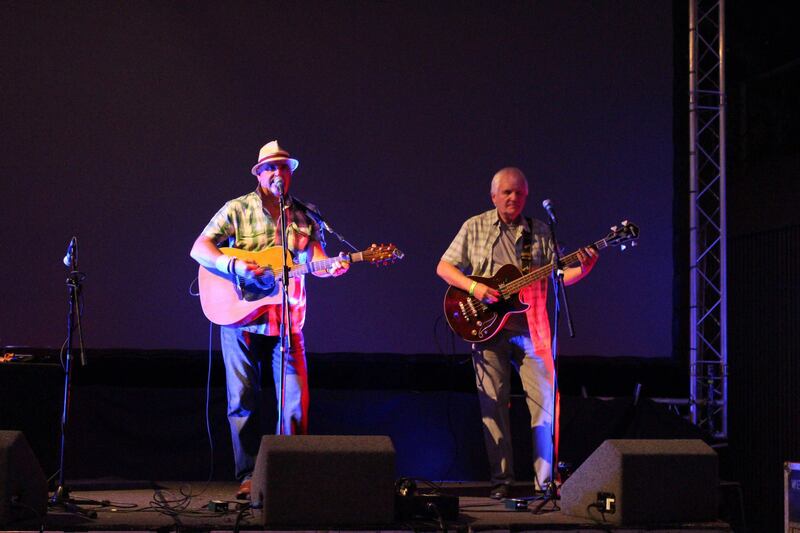 Coming on stage for Liverpool Calling 2014 inside St. Luke’s Church, the two members of the Southbound Attic Band made the self-effacing quip that they were the token oldies on show that day. Whilst it was a joke, what they bought to the event in the under threat Bombed Out Church was nothing short of genuine, panache ridden and on par with anything else played on a hot summer’s day in Liverpool. For Barry Jones and Ronnie Clark, as with anybody who still offers an audience the most privileged of musical experiences, the song with a story attached to its very heartbeat, age is no barrier; it is just how you relate the story. On a weekend in which it seemed Liverpool was marking out yet another niche in the ability to spin a story out with the arrival of The Giants to the city for a second time, the five musical stories that Mr. Jones and Mr. Clarke regaled the crowd with were amongst some of the finest, funniest and in one particular case, the saddest the audience inside St. Luke’s were likely to hear for months on end. With songs about sexual frustration, international espionage and love which endures for decades, it was only right that the Southbound Attic Band were included on the bill by the organisers of Liverpool Calling. You certainly don’t get treated enough in life to a song that can make you blush just slightly, that can have you pining for the days of good old fashioned black and white crime capers and then have you shed a tear in fondness as you might find yourself thinking a generation which is now either lost to us or that we are blinded by the idea of the quick romantic fix. Tracks such as Howling at the Moon, Compromised, the fantastic The Ballad of George and Maude and Last Man Standing offered something to the weary minded and dejected soul in return for half an hour’s solid attention. It was a half hour many in the audience would have arguably gladly given three times over for the peace offered by the two men. 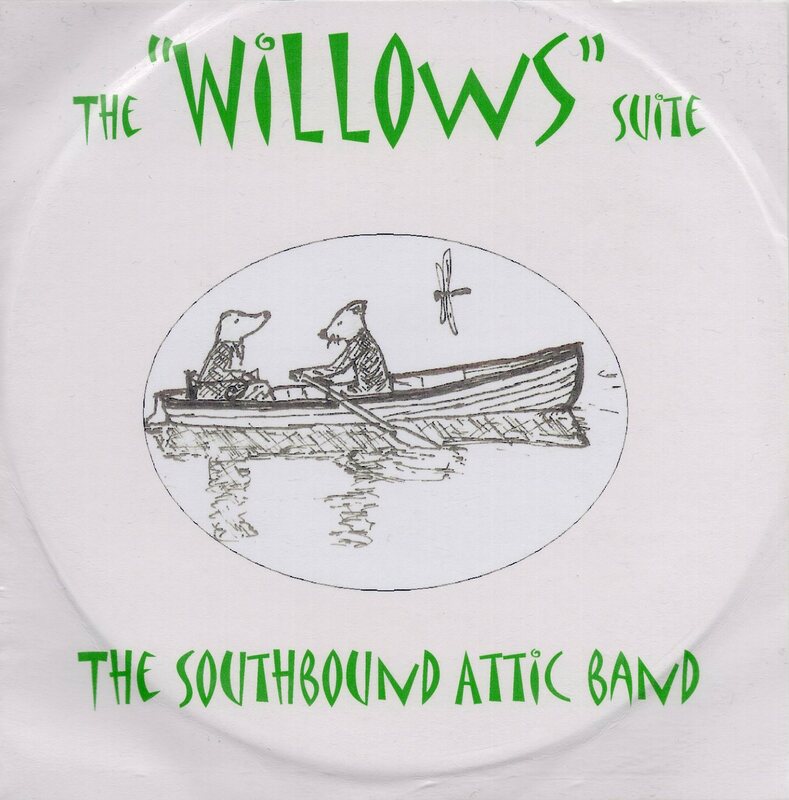 Age is no barrier to being able to tell a good story, only a dull uninterested mind can do that; for the Southbound Attic Band, those words don’t even exist. Huge congratulations to Liverpool Calling for adding these two fine men to the bill. The festivities kicked off suitably early at 1pm, to accommodate for its fifty ­plus line­up, with local alt­ rockers The Next Life andGold Jacks playing to a sun­bathed St Lukes Church and adding substance to the attendees of its hallowed, hollow interior. After a couple of short and sweet sets from these young talents, the Bombed ­Out­ Church made way for its next act, The Southbound Attic Band. This self­ proclaimed ‘token oldies’ duo of Barry Jones and Ronnie Clark, demonstrated their experience with a pitch ­perfect set of witty, folk parables concerning everything from sexual frustration to international espionage, “obviously” announced Jones as he broke into ‘Compromised’. Continuing on from the acoustic vibe propagated by Jones and Clark, Liverpool’s own ‘Sound Food and Drink’ played host to yet more folk acts. Most beguiling of all was young singer- songwriter Shannen Bamford of Ryvers, whose soulful solo performance; at times reminiscent of Death Cab for Cutie, in the intimate venue, went down like the third bowl of porridge (That’s just right). Over at ‘The Kazmier’ the festival was experiencing it’s first bout of ‘technical difficulties, leading acts such as Low Winter Sun and Reva going on later, but this did little to dampen the festivities and Rufus Hok’s appearance in ‘The Kazmier Gardens’ came as a release from any tension built up from technical issues, with a spirited, jittery performance of troubadour anthems. An open mic night held every Monday at one of Liverpool’s most popular touristlocations, ‘Monday Club’ at The Cavern Pub on Mathew Street is establishingitself as a reputable platform for aspiring singer/songwriters. At Monday Club, there is one rule and one rule only: STRICTLY NO COVERS. Musicians,poets and playwrights, young and old attend each week to perform three pieces oftheir own material. The regular Monday clubbers have even risen to legendary statuswithin the club. Ann Briggs, a gobby poet, performs weekly and expresses her loathing for ‘men whosmell like a stale Sayers pasty’ and declares it ‘just plain nasty’. Southbound Attic Band made up of two 50 something men is a folk band that has builtup an ever growing reputation across Liverpool’s music scene. Since their debut atMonday Club with their song ‘Hide the Sausage’, they can no longer walk into an openmic night without everybody shouting ‘Sausage, sausage, sausage’ at them. This maysound silly, but it just goes to show how powerful a good open mic night can be. Milly Courtney first got on stage with her guitar and sang one of her original songswhen she was just 11 years old at Monday Club; a performance that she nor anyoneelse in the room that night will forget. A full-time barmaid at Monday Club said: “She blew everyone away. Milly, now 12, has been signed by a record label and has sung live on Radio City 96.7and has sung in many venues across Liverpool since her first performance at MondayClub. Every time she performs back at Monday Club, she thanks everyone for theircontinued support, especially Ian Prowse, who she credits for instilling her with thecourage to get up on stage and sing. Monday Club is a hive of original creativity, and I highly recommend it if you wish toimmerse yourself in the buzz of the club that welcomes originality. Quite frankly, Monday Club makes my Mondays that little bit more bearable.